It's the interview that will determine the course of the U.S. economy for the next four years: Janet Yellen will face the Senate Banking Committee on Thursday, as lawmakers weigh her nomination to head the Federal Reserve. The leadership transition could not come at a more pivotal moment for the central bank. After stimulating the economy for five straight years following the financial crisis, the Fed now needs an endgame for gently weaning the economy off easy money, and with the perfect timing. 1. What is the lowest unemployment rate we can reasonably aim for? The Fed is tasked with two goals: First, keep the economy growing at a point where as many Americans are employed as possible, and second, do so without sending prices rising rapidly. Zero unemployment is considered impossible, but what then, is the "normal" unemployment rate? In the booming times of the late 1990s and mid 2000s, it wasn't uncommon for the unemployment rate to hover around 4% to 5%. Now it's been above 7% for five straight years, and economists are questioning whether it's even possible to get back to 5%. As of October, about 4 million people were counted as unemployed for six months or more. Meanwhile, about 37% of Americans over age 16 have decided not to participate in the job market at all. That's the highest rate since 1978. Yellen has often said that the job market is her top concern, and she's particularly worried about the long-term unemployed. The longer people remain out of work, the more likely they are to lose job skills and face major setbacks in their earning potential. They even risk becoming permanently unemployed. 2. What's your Plan B, if Fed stimulus fails to get us there? After we know Yellen's target, we need to know why she believes the Federal Reserve has failed to get us there so far, and what she plans to do about it. The Fed has already pumped about $3 trillion into the U.S. economy since 2008 by buying Treasury bonds and mortgage-backed securities. Even with this effort and record-low interest rates in place, unemployment remains at 7.3% and the U.S. economy is struggling to grow at even a meager 3% a year. Might the Fed have to throw up its hands and admit there's nothing else it can do? "How can you tell when monetary policy is not the right instrument for the job?," asks Robert Brusca, chief economist of FAO Economics and a former economist for the New York Fed. "How would you tell that you've gone too far? What signs would you look for?" 3. How will you wean the economy off stimulus, without thwarting the housing recovery? Federal Reserve officials are discussing when they should start reducing -- or "tapering" -- their current bond-buying program, down from $85 billion each month. Just talking about tapering temporarily drove interest rates up over the summer. The concern is that higher mortgage rates could sap some of the momentum out of the housing recovery -- which has been one of the few bright spots in the economy this year. "How can you be confident that the Fed will ever deem the economy strong enough to withstand tapering?," asks Ellen Zentner, senior U.S. economist for Morgan Stanley. Independent economists have put suggestions out there, on how the Fed could taper and still support the housing recovery. But what would Yellen do? 4. What's the next big bubble? Boom-bust cycles are nothing new, but the Fed has a terrible record of predicting them. Unlike her colleagues who didn't see the housing crash coming, Yellen was ringing early alarm bells about the real estate market. 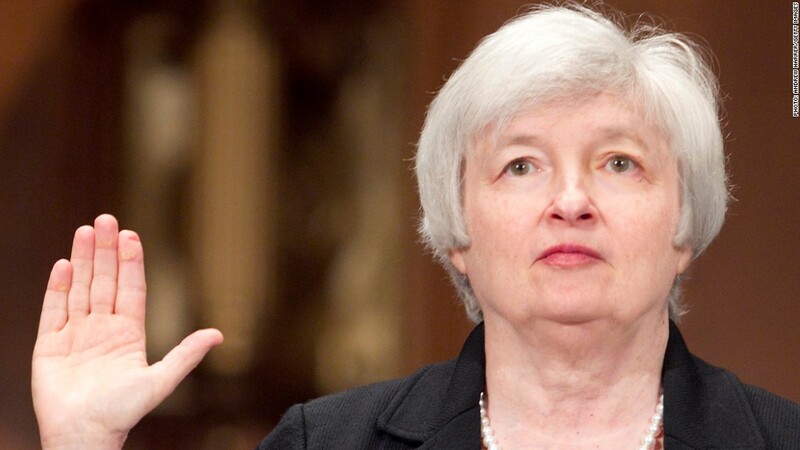 Does Yellen see any signs of new bubbles forming now? The obvious answer is no -- otherwise the Fed wouldn't be buying more bonds. That said, how do we know the Fed isn't missing another bubble this time? "Do you believe the Fed, and some other central banks, are running the risk of inflating an asset bubble by keeping interest rates low for so long?" asks Sal Guatieri, senior economist for BMO Capital Markets. 5. When will inflation pick up? The Fed has been pumping trillions of dollars into the banking system, yet much of it is not making its way to Main Street. Instead, it sits in bank reserves. What happens if the economy eventually does pick up, and banks start lending that money out? "Given the extraordinary measures taken that have produced enormous amounts of liquidity in the system, how worried are you over inflation and the problems that could arise down the road?" asks Wells Fargo economist Sam Bullard. What signals will the Fed watch to make sure it's not "behind the curve" on inflation, asks Jim Smith, chief economist for Parsec Financial and a former Fed economist. But inflation is low lately, and some other economists think a little more inflation could be a good thing, if it means the economy is picking up. 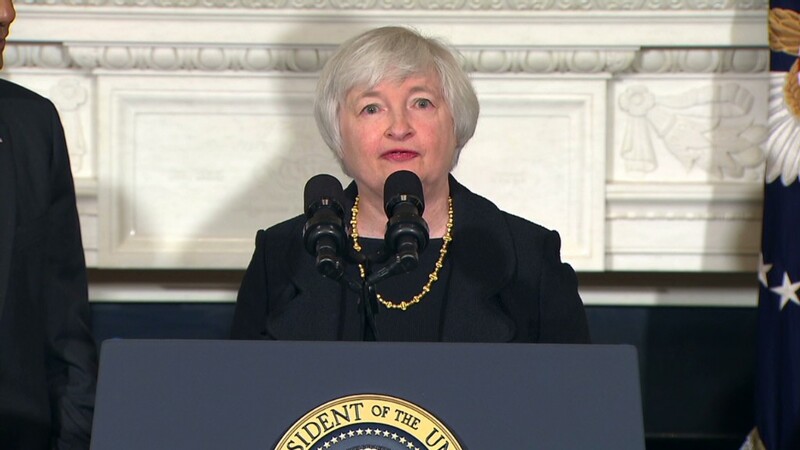 Yellen is probably in that camp, but just how much inflation would she be willing to tolerate?